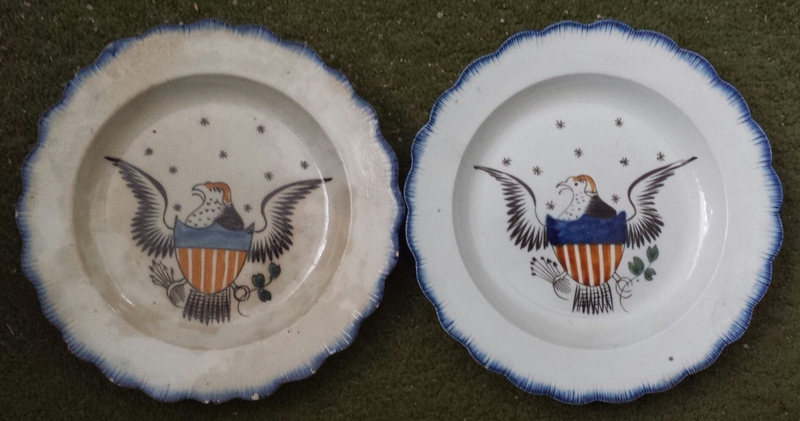 I have 2 plates, which have been handed down in my family, that have the Great Seal of the US on them. I am curious how old they may be. The eagle has 9 stars above it, 7 arrows in it's right talon and 3 leaves on an olive branch in it's left talon. 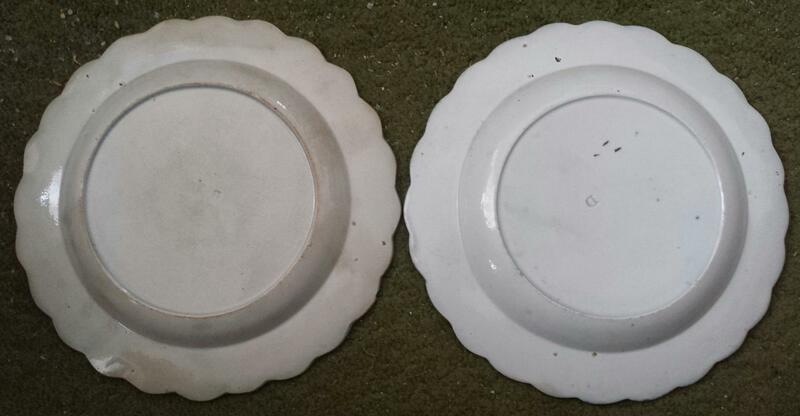 Each plate is 6 inches in diameter. 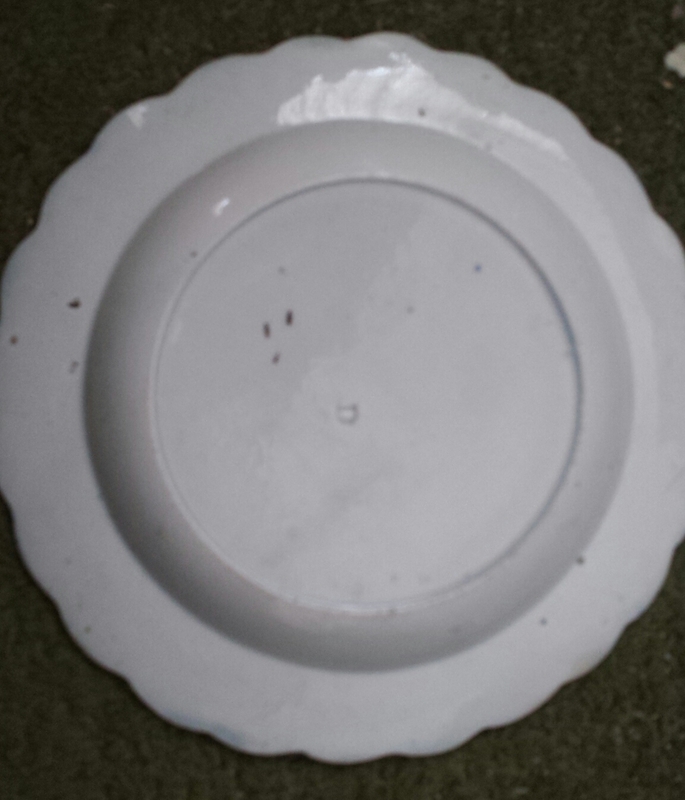 One of the plates has a small letter D stamped on the back. 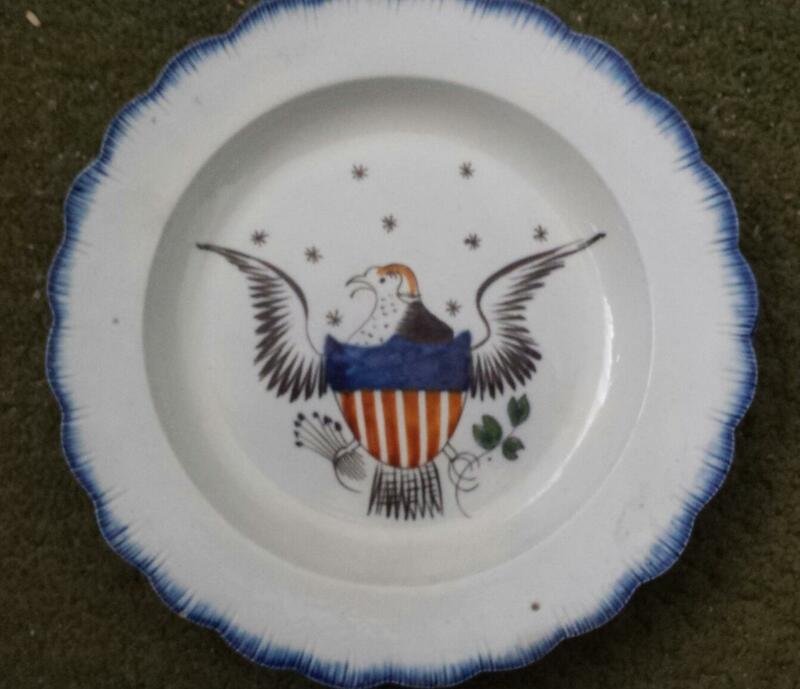 thes plates were used at gorge bushes inauguration. I have seen your comments on other people's postings. Please stop, they are not funny.